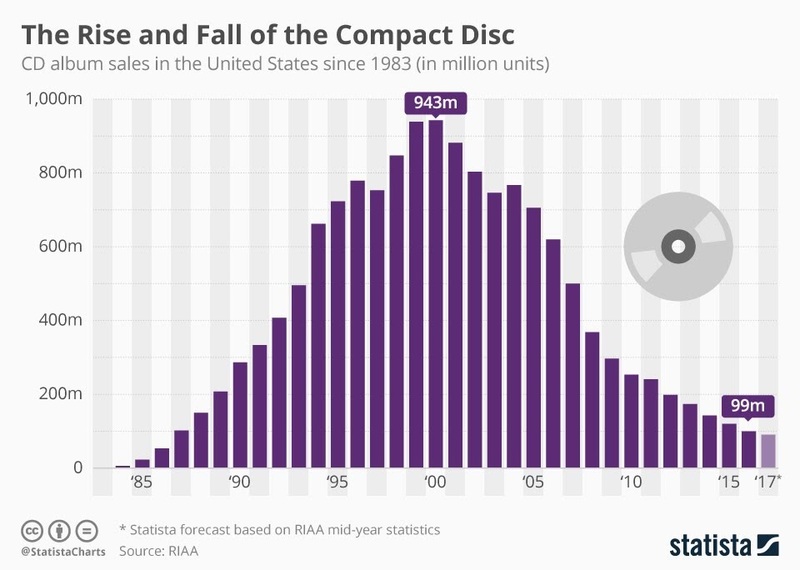 The Rise And Fall Of The Compact Disc #Infographic ~ Visualistan '+g+"
According to a recent Bloomberg report, U.S. retail giant Best Buy has informed its suppliers that it will no longer sell CDs starting July 1. 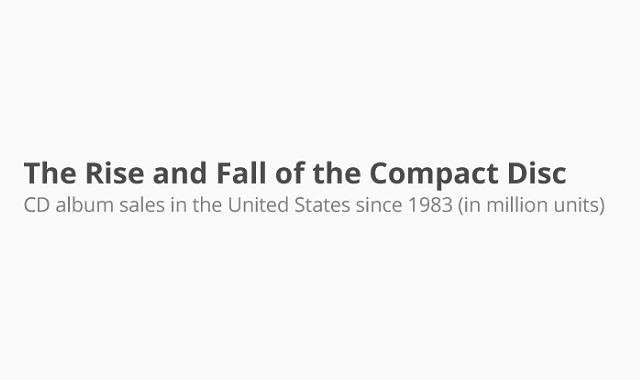 While this rather extreme step comes as a bit of a surprise, considering that millions of Americans, especially older ones, still buy and listen to CDs, the demise of the compact disc seems inevitable at this point. Have a look below for more information.